"Easier access to numerous higher quality restaurants, staff..."
Have a question for B-Lay Tong Beach Resort? "I enjoyed the quirky modern art throughout public facilities, and room's great large walk in showers. Nice breakfast, and dinner available if you don't want to..."
"Plenty of shops outside / nearby." "The hotel is new, pool is great." 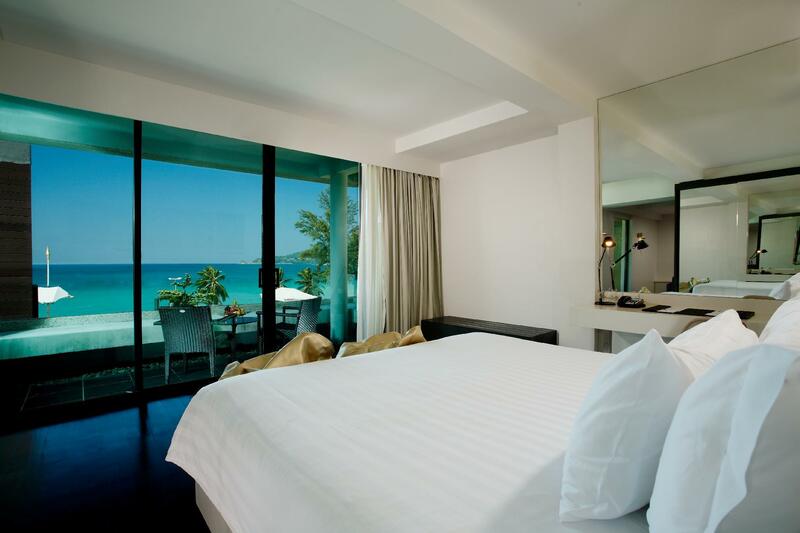 With its prime beach front location at the quiet north end of Patong Beach, B-Lay Tong Beach Resort is ideally situated for enjoying direct access to all that Patong and Phuket has to offer. White sandy beaches, turquoise seas, exhilarating nightlife, modern shopping malls and traditional markets are all within reach. 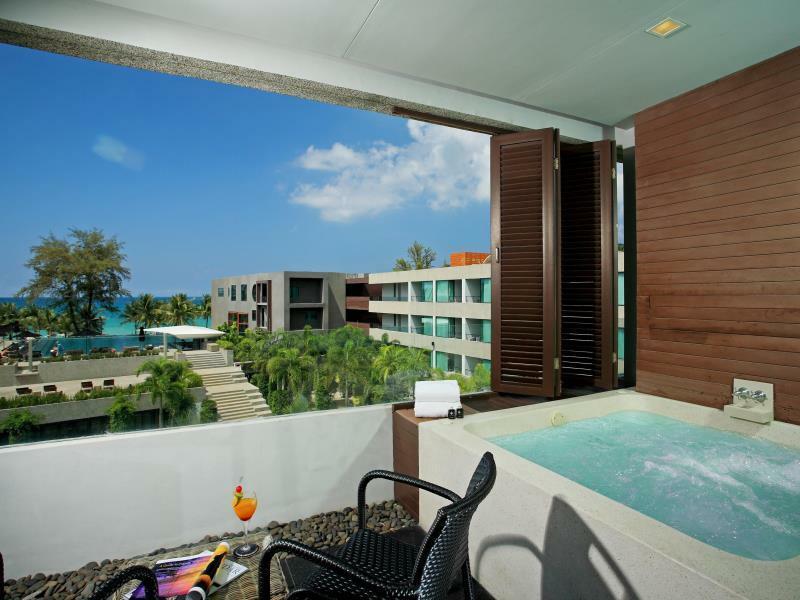 The resort is an eclectic gallery of artistic and aquatic experiences blending colorful Feng Shui themed guestrooms, an oversized C-thru and sea view infinity pool, and a tranquil Zen courtyard garden with friendly Thai-style service. 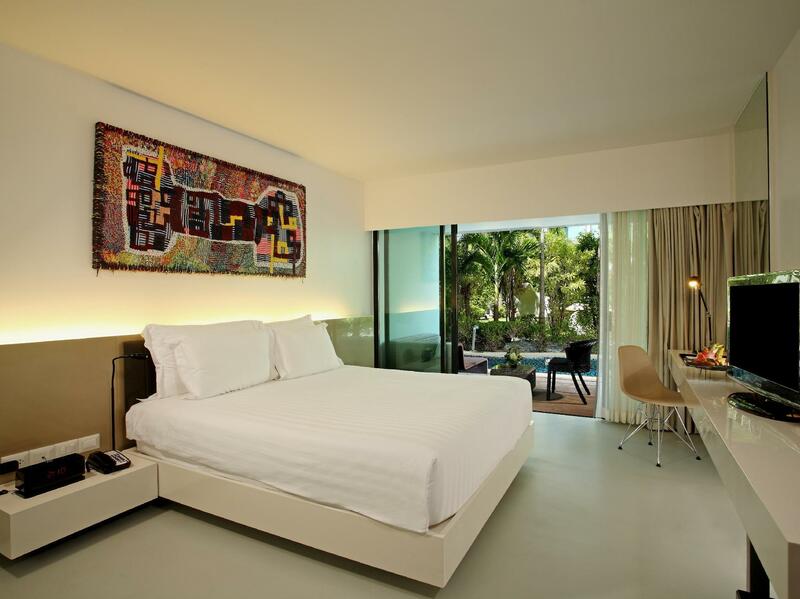 Complimentary Wi-Fi further compliment this perfect and funky choice in modern accommodation on Phuket’s original beach. "Easy access to beach & downtown"
Minimum age of guests is: 5 year(s). The pool access room is good however, the amenities and facilities are a bit old. The staffs are friendly and understand our needs. 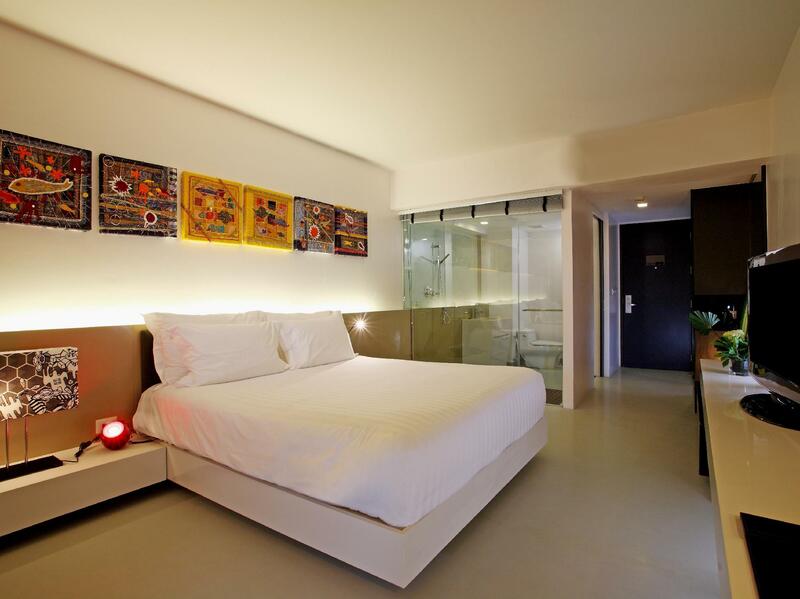 The location is great, fronting patong beach and few minutes to the party area. 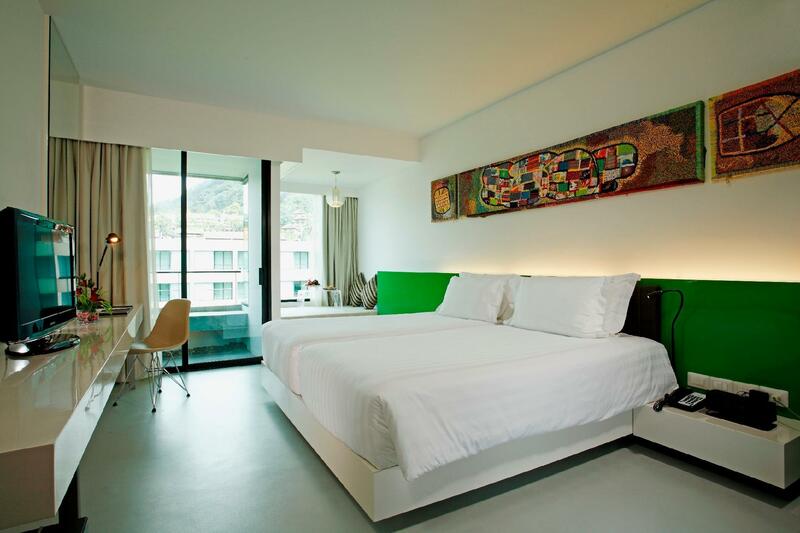 Great Size Rooms - Cleaning service of the rooms is Extremely good each and every day. Easy access to beach & downtown, plenty of shops and local restaurants. Ideal location if you are looking for Halal food - a mosque in walking distance. Overall it was a great location. Great infinity swimming pool, with an ocean view - Only downside was the fact the tiles were all coming off from around the pool and also within the pool... Something that needs urgent maintenance. But I would most defiantly return to this hotel. This may have been a great hotel 10 years ago but now requires a major upgrade. Facilities are outdated; especially the pool as all the small rectangular ceramics have fallen off for most of the pool (and the pool filtration system needs a revamp, dirty water). There is a major construction going on right next to the hotel (Four Points Sheraton Hotel will be opening soon) as well. 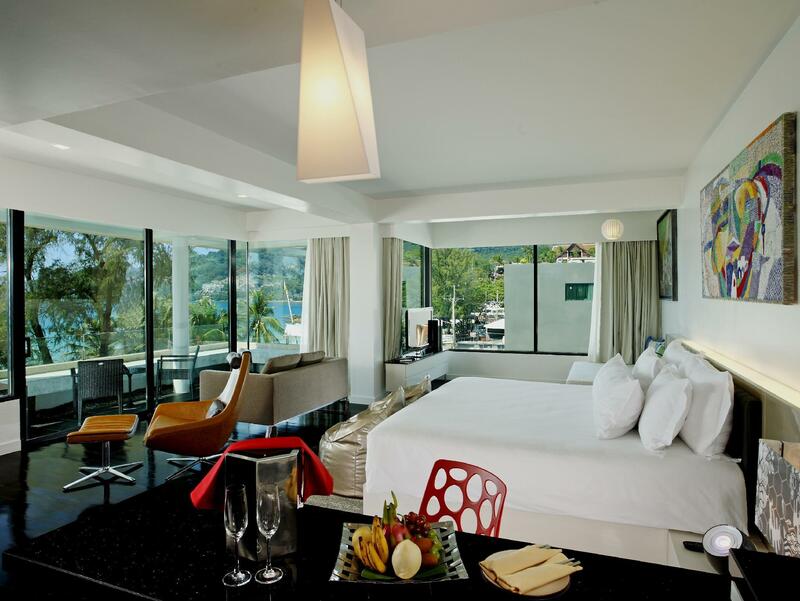 On the positive note the hotel is centrally located with a great view of Patong Beach, large rooms and free parking. We only stayed in Patong one night as we knew it was not really our kind of place but just like a train wreck we had to see the gory details. The hotel is positioned at the north end of the beach but just a 10 minute walk if you want to get amoungst the mayhem. The beach was a bit quieter a little away from the rows of loungers and jet skis. The resort itself was not bad. We stayed in a pool,access room which was a decent size and quite modern. But unless you are going to use this pool I would not bother paying the extra money as it doesn’t catch the sun and is not connected to the main pool. I found the grounds a bit poorly maintained and a bit grotty a lot of tiles missing from the main pool and the pool bar looked tired and was badly stocked. I think the best thing about this hotel was the Manager or whom I think was the Manager he was genuine and his service was excellent. I picture him somewhere more upmarket like the Four Seasons or a nice boutique hotel. Quiet place away from the busy patong area, very good security, very attentive and friendly staffs, great infinity pool facing the sea, and for us, great lazing at our pool access to a lap pool. Great dining at b-hive. Near some recommended dining places eg. Number 6 restaurant and number 9 restaurant serving great Thai food. About 15minutes walk to Bangla walking street and jungceylon. This is my second Stay here, and I highly recommend to visitors. I chose the room with pool at balcony, so i dont have to squeeze in the public pool. Every sat there's a Dj spinning at the public pool, its called pool party! Beach is just across the street outside hotel and from public pool you can see the beach too. 1 min walk to motorbike rental, cafes and restaurants are just outside the hotel, and security guards recognises all the guests!! you can walk to bangla road for clubbing, maybe 5mins. It's definitely worth staying. Everything is surrounding you. The hotel is nice and location is great. Room is nice but the bath tub and Jacuzzi are very dirty. We definitely felt disappointed on this and complaint to the house keeping then only they have cleaned it. My children don't like the wall paintings. The others were great. Staffs were so helpful to accommodate our needs . Location is in front of the Patong Beach ( quiet side ) and less people. Only downside is there’s a lot of mosquitoes. Very Bad service level for this class hotel... Not professional at all for all kind services, I had a very bad experience ever during my stay in this hotel, especially the reception staff name Bank, he is very unfriendly and doesn't helpfull at all as front liner staff... I will share my bad experiences to all my friend who want to visit Phuket to not to stay in this hotel ever!! Took me one hour to check in since they couldn't find my reservation, even after showing them my confirmation number. Then the room I was given did not match with the description and the size posted on Agoda. Me and my husband stayed for one week, to celebrate anniversary and birthday while being in Thailand for the first time. We informed the hotel about this, kindly offered reciprocity (being in the industry) received no reply and then arrival we were told they dont do anything. The only thing they can do is give us a birthday cake which they never gave us. This would not be a huge deal if everything else wasnt so bad. No one spoke english, no one understood us and when we had important queries (such as our bag being stolen very likely by staff member who was supposed to move our luggage) no one showed effort in trying to communicate, listen or to solve problems or improve bad situation. No effort in helping customers at all. One young trainee even laughed in our faces when we were panicking about my bag being stolen (with money, important documents etc.) on top of this, the internet was terrible as well as the gym however it was the staff behaviour that was the worst.Would not recommend. Cross the road and it is the beach. The quiet end of the beach. No complaints. Super spacious room. Good breakfast. plenty of shops outside / nearby.